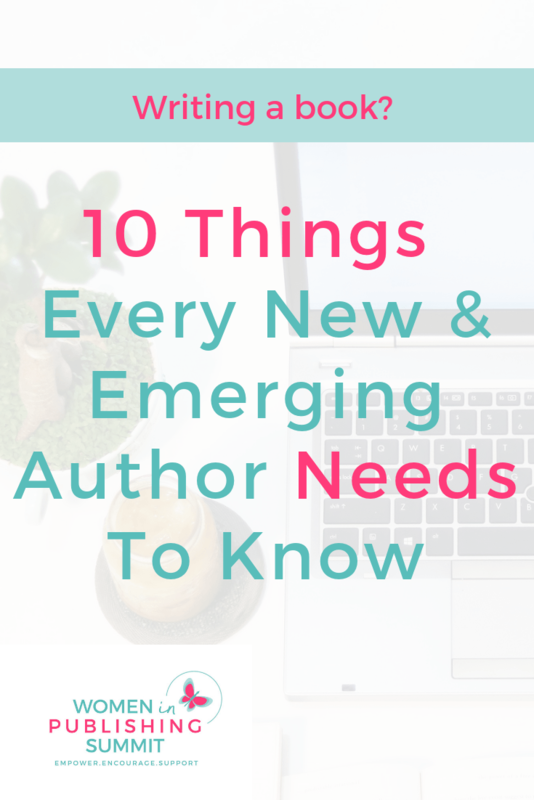 If you are a new or emerging author, chances are likely that you’re in the thick of it with your book writing process. We sat down with Joan Dempsey, author of This Is How It Begins and asked her to give us some of her favorite tips for new and emerging authors. Writing and publishing a book is a long process with many different phases. Enjoying the work along the way is so important. After all, if you love what you do and do what you love, it hardly ever feels like work. At some point in their career, every writer experiences rejection. Rejection is part of the process, the key is to keep on going. Writers who achieve their goals do it in part because they didn’t give up. You don’t have to implement every change or feedback given to you, but it’s important to consider it. And while writing is personal, try not to let feedback hurt so much that you stop all together. Instead, look at it as an opportunity to improve your work. Consider it, implement what makes sense and keep on with the process of writing. If You Don’t Know The Answer, Google It. There are so many great free resources available on the internet, especially via Google, Pinterest and YouTube. If you’re unsure of how to do something, try searching for the answer yourself instead of asking another author or writing coach. If you get stuck, then reach out and ask them! Don’t Be Afraid To Revise. Revision is a necessary and often overlooked step in the writing process. Often times, people finish their first draft and send the manuscript to an editor. However, it should go through at least two or three rounds of revision first. Taking the time to revise your manuscript first will save you money in the long run, it should cut down on the work the editor has to perform. The Artful Edit: The Practice Of Editing Yourself by Susan Bell. In this book, Susan Bell dissects several drafts of The Great Gatsby by F. Scott Fitzgerald. This book is a great resource because you’ll learn how even a small change or two changes everything in the story around. Revise With Confidence: See Your Writing Like An Editor video course by Joan Dempsey. In this video series Joan teaches authors how to step back from their work so they can see it more objectively. She also has an additional video series that helps authors get out of their own way and stop worrying about if their writing is good enough. Great writers never stop learning and are always finding new ways to develop their craft. Your first body of work will look so much different than your last body of work if you are always developing it. Workshops, writing intensives, and classes are great ways to keep sharpening your skills as a writer. Find Money To Pay For Your Research. Here are some great resources to help you find grants available for your research or writing. FundsForWriters.com is a website dedicated to helping writers find grands and writing funds. Sign up for their weekly newsletter, each week money available is highlighted. Your state’s art commision may have funds available for you as either an artist in residence or to help cover the costs of travel. Traditional publishing can take two to three years and the self publishing process is one not to be rushed either. It is natural to want to rush your words into the hands of the world, but there is a reason why this process takes so long. There are a ton of steps to work through in the process, from writing and editing to marketing, launching and selling!